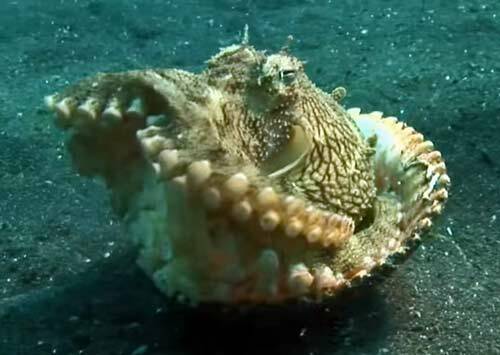 The octopus is a very smart creature and is considered the most intelligent of all invertebrates. They can solve problems such as removing a lid from a container and even mimic the shape of other animals. Not very very long ago it was also discovered that they can use tools, specifically shells to build a mobile home, of sorts.